Japanese Concerts-Tours-Tickets North America: [#JPOP] JPop Summit 2014 California July 19-20, 2014 Many Artists! [#JPOP] JPop Summit 2014 California July 19-20, 2014 Many Artists! Launched in 2009, J-POP SUMMIT Festival is a large street fair in San Francisco, California that celebrates Japanese popular culture every summer.By introducing the latest in Japanese music, film, art, fashion, games, anime, food, as well as niche subcultures, the festival has become a landing platform for new trends and innovations from Japan. The 5th annual J-POP SUMMIT of July 2013, the festival made huge leaps in its programming and enjoyed 80,000 people in attendance, making it one of the top Japanese festivals in the US. 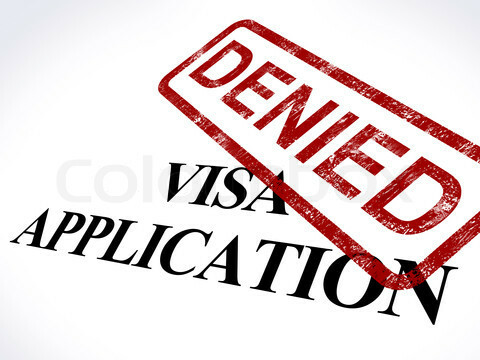 In addition to the original street fair, a Union Square Live concert in downtown San Francisco, Bay Area’s very first Japan Film Festival of San Francisco, and sake-tasting and fine foods at POP GOURMET Food Festival were all introduced to further enrich the experience as a whole. J-POP SUMMIT Festival, in other words, consists of a music festival, a film festival, a fashion festival, an art festival, an anime convention, as well as a gourmet food fair. Here, many local and Japanese organizations and businesses join to take part, support and exhibit. The festival is also getting attention as an effective platform for promotion and as an entry point into US markets. Japan Film Festival of San Francisco, presented by J-POP SUMMIT Festival, is the first fully-dedicated annual Japanese film event of the S.F. Bay Area. This week-long festival will take place at NEW PEOPLE Cinema. The 2014 J-POP SUMMIT Festival presents a new edition of “Harajuku Kawaii!! in S.F.” featuring the return of Ayumi Seto and other notable models and fashion luminaries for a series of special live events presented in partnership with ASOBISYSTEM. Programming news and announcements of other events and appearances will be coming soon! and skateboarding. Official “Aymmy in the batty girls” website (Japanese). with this special appearance by Harajuku Kawaii model Ayumi Seto at NEW PEOPLE. THE AKABANE VULGARS ON STRONG BYPASS will also be performing! THE AKABANE VULGARS ON STRONG BYPASS mix a power rhythm section with rockabilly, blues inspired guitar. Sonically alongside Social Distortion and Thee Michelle Gun Elephant; in 2012, they performed at SXSW, released a CD, and returned for 30 shows in the U.S. In 2013 the band announced a double release of a live and a studio CD. The band continues to tour rigorously. From URA-HARAJUKU to the world! Born in December 1991 in Okinawa, Japan, Una who used to be a charismatic shop assistant in Harajuku started her modeling career as an Aomoji-kei (Harajuku) model by getting a snapshot taken by a fashion magazine in 2010. It didn’t take her long to appear on fashion magazines regularly. With her looks and edgy fashion style, she became a new type of Aomoji-kei (Harajuku) model who is capable of expressing not only kawaii but also cool aspects of Harajuku. This iconic figure from the Harajuku street scene will be debuting with her first single “Juicy Juicy” on August 14th, 2013. Before debuting, Una had a chance to perform on the stage of JAPAN EXPO in Paris and expanded her activity field to the world as a representative of Harajuku Kawaii culture. In 2013, she released her first digital mini album “True of Lights/Danse Danse” in iTunes. in 2014. She also participated in “U-EXPRESS LIVE 2014″ in Saitama and appeared with Katy Perry, Kyary Pamyu Pamyu, and Shojo Jidai (a girls group from Korea). Her new single, “BOOM BOOM BOOM,” has been released this April and is already being used in a TV commercial. Una, a representative for this new street-born kawaii culture, is sure to attract a great deal of public attention! 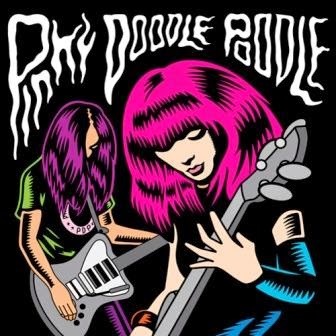 Pinky Doodle Poodle is a high energy, female fronted rock band from Tokyo, Japan formed in 2008. PDP features lead vocalist/bassist/guitarist Yuria, a successful Japanese anime singer often heard in popular video games in Japan as well as on solo records and with her band Honey Bee (2004-2007). 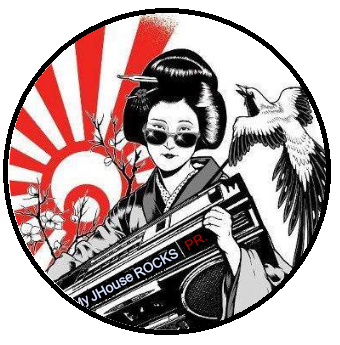 Rounding out the duo on guitar is George, a long haired shredder/composer who brings PDP a musical sound reminiscent of a marriage of the MC5 and Bad Brains swirling under Yuria’s playful Japanese/English lyrics and melodies. The band has released a handful of EPs in Japan and Europe and have just completed their first full length LP in the US with producer / Goo Goo Dolls member Robby Takac at his GCR Audio Studios in Western New York. Their latest 10 song self-titled album Pinky Doodle Poodle was released worldwide in the Spring of 2014 on Good Charamel Records. Having recently completed tours of Japan, Europe, Myanmar and a few select dates around the New York area, PDP is now concentrating their efforts on US markets with a Nationwide US tour in June and July. *Exact time will be announced soon! Japanese pop female vocal duo YANAKIKU is coming to J-POP SUMMIT Festival for the first time and will perform on the Pagoda Stage in Japantown on Saturday, July 19th! They will also join the Cosplay Masquerade 2014 as judges opening the contest with a little skit, and plan to hold a Meet & Greet with fans at their own booth on Post Street! Swing by YANAKIKU booth to have a chance to get their autograph, take photos with them and buy their original merchandizes! *Exact time and location to be announced soon!! The eccentric kimono cosplay and indie duo YANAKIKU will also join the Cosplay Masquerade 2014 as judges with an opening performance! They are also bringing special prizes from Japan for the winners. They call their own style “KIMO-COS” (kimono cosplay), and they are very enthusiastic about judging the contest! ★ “Chicchai Ossan”as a YANAKIKU supporter! One of the most popular “Yuru-Chara” in Japan, Chicchai Ossan, will appear on Pagoda Stage with YANAKIKU! Chicchai Ossan will also be at YANAKIKU booth for a Meet & Greet and other YANAKIKU events during our festival. Take a photo with him! You may get scolded!! Japanese pop female vocal duo YANAKIKU was formed in 2012. They released their first single Miwaku No LADY in October 2012. In 2013, they released their second single UP↑SIDE↓DOWN and performed for international audiences at Hyper Japan 2013 (London) and TIFFCOM 2013 (Japan). In January 2014, YANAKIKU performed at Tokyo Dome’s Furusato Matsuri and followed up with a special “New Year Event with Japanese Artists 2014″ live show in Korea. In April 2014, they released their new music video “FUJIYAMA DISCO,” achieving over 20,000 views in the first week. With their unique costumes named “KIMO-COS” (Kimono Cosplay) and their live Japanese calligraphy, YANAKIKU’s high-energy performances and fun personalities are winning over music fans worldwide. *Exact schedule will be announced soon! The 23-year-old Japanese human beat-box, DAICHI, is coming back to San Francisco Japantown and Union Square for two days on Saturday, July 19th, and Sunday, 20th! More information coming soon! Without using any instruments, effects, or machines, Daichi can make more than 50 different kinds of sounds using his voice, and can make rhythm and sing melody at the same time. At the age of 18, he posted on Youtube a video of his beat box performance, which he filmed in his room by himself. Suddenly, he started getting a lot attention from all over the world. This video has had more than 23 million views. 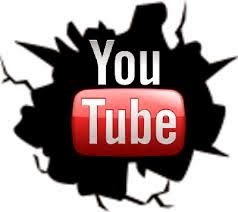 Now Daichi’s official YouTube Channel, DaichiBeatboxer, has over 350,000 subscribes from around the world. Daichi performs not only in Japan, but also overseas, including the US, Taiwan, Malaysia and so on, and entertains audiences by using only 1 microphone, playing original and cover music with a loop-station machine, and also collaborating with singers, musicians, dancers, performers, DJ’s and more. Daichi won third place in Apollo Theater Amateur Night 2012, and became the first Japanese musician to be awarded at the Apollo. Watch his incredible performance on YouTube, and don’t forget to subscribe to his official YouTube channel DaichiBeatboxer to see his most updated videos!